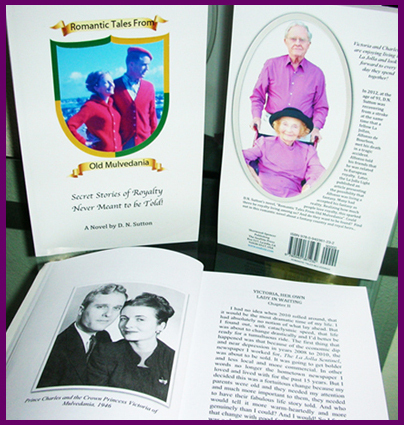 "Romantic Tales From Old Mulvedania"
"Secret Stories of Royalty Never Meant to Be Told!" D.N. 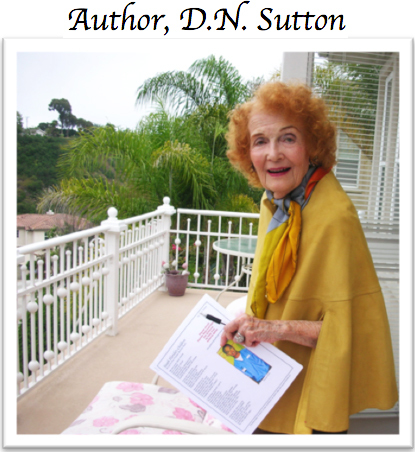 SUTTON has been writing poetry and stories since age seven, published first at age eleven in the Miami Herald and in numerous newspapers and magazines. She is the author of poetry books and audio CDs available on iTunes, Amazon.com, CDBaby, CDUniverse and other sites, including “Love Poems for the Romantic Heart”, “Death Poems for the Grieving Heart”, “Psalms For Life Living” and a new collection: “Perceptions, Poems for a Time of Terror” will be available Summer 2013. Excerpts from her poetry books and novels can be read on this web site, SoulSite.com. As her writings attest, D.N. Sutton is a person who believes that all dreams can in some measure be fulfilled. Trained for the theater, she worked on radio, and was a professional photographer’s model, a poetry editor, a playwright with plays produced, and was active in publicity and public relations. She developed and taught a college course called “Presentation of Self” in the 1940s and 1950s. Her generosity of spirit and concern about fairness in sentencing in the US justice system, lead her to work towards freeing a prisoner, Antonio Balta, whom she felt, and still feels, was unjustly sentenced. This quest lead her to start the blog “Citizens Conscience Calls”. 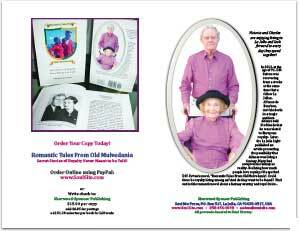 Now, nearing the age of 93, two years after her stroke, she inspires us all, with the publication of her first novel!